Have you ever wondered whether it’s possible to host a website for free? 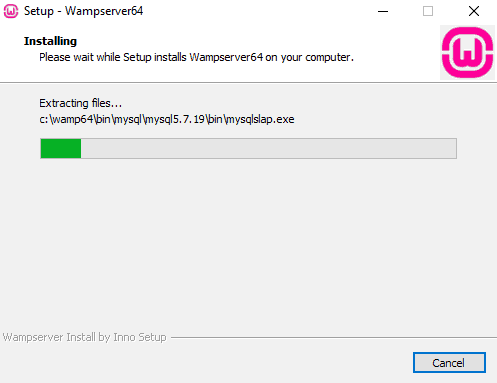 Did you know you can turn your home computer into a WAMP server (Windows Operating System)? We’re here to show you exactly how you can do so – our step by step guide will help you set up your own server so that you can host your own website on Windows WAMP. I often get questions about how to host a website from home…It’s easily possible but there are many elements (and costs) involved. 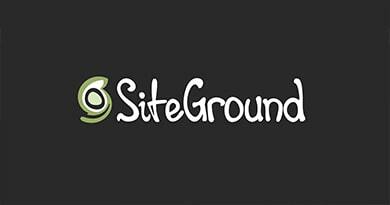 If you’re short on time then check out SiteGround (who I recommend to anyone starting out). There are quite a few different WAMP programs available, but for the purpose of this guide, we’re going to use WampServer which is completely free to download. 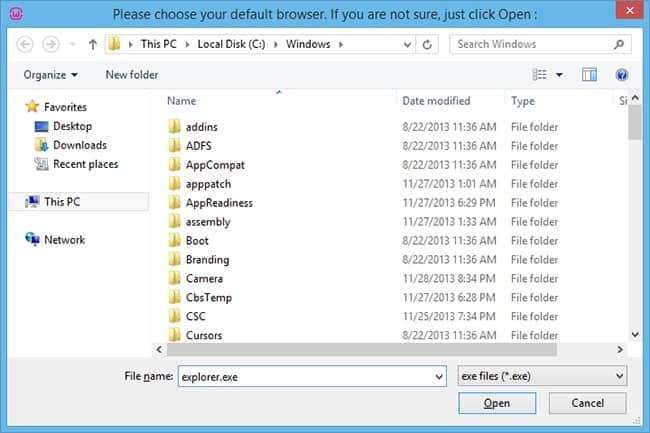 If you want to choose another browser, click ‘Yes’ and locate it on your PC. The same prompt will apply for your default Text Editor which usually defaults to Notepad (again, you can change this if you want to). 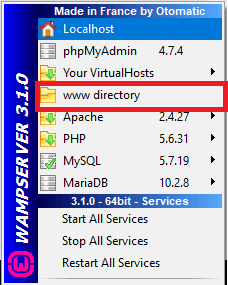 After you’ve located your WAMP directory, you can create sub-directories, such as, Projects, which can contain HTML or PHP files within them. You can then repeat the steps above to create any HTML or PHP document within your www directory – pretty cool right? If your website relies on databases, you’ll need to configure your MySQL database. If you’re using WordPress or a similar CMS platform to create your website, then the databases should all be automatically set up for you. Once you’ve created your website and setup your databases, you’re going to want to make it live so that the world can see it. You’ll need to change the configuration settings to make your website public, as by default, they are set to private. Locate the Apache configuration file (httpd.conf), right click on it, and edit with your text editor. Once you’ve performed the above steps, go back to the WampServer menu and select ‘Restart All Services’. As well as there being a way to host your website from home on your Windows machine, you can also do the same on Linux. So, let’s take a look at how we can install Apache, PHP, and MySQL on your Linux system (LAMP). When you’re installing your LAMP software, you may be asked to confirm your MySQL password for the root user, so make sure you have this to hand in order to proceed. Alternatively you can amend the configuration through your local .htaccess file. 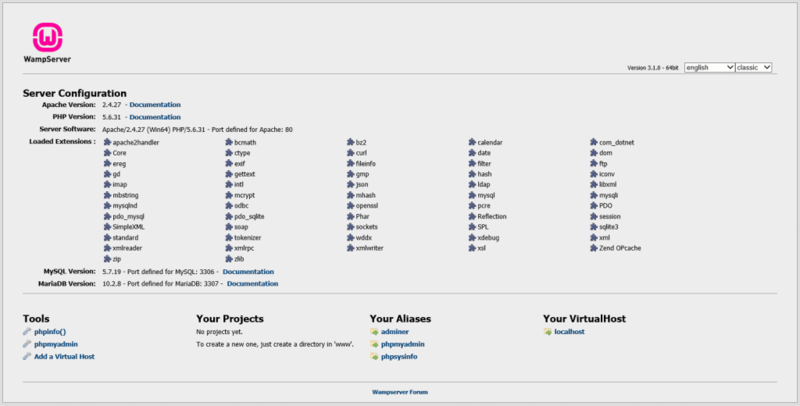 This will display your PHP version, configs, and any installed modules you have. 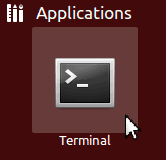 You can install more PHP modules using Ubuntu. If you’re not sure which modules you can install, you can download the graphical package manager here. As we said previously, some (well, most) CMS platforms like WordPress use MySQL databases, so you’ll need to check that your MySQL installation works as intended in order to proceed. If for any reason the above does not appear for you, you can restart the MySQL server by typing ‘sudo service mysql restart’. Most of the time your databases will be automatically created by your CMS platform, but if you want to manually make any changes, you’ll need MySQL. 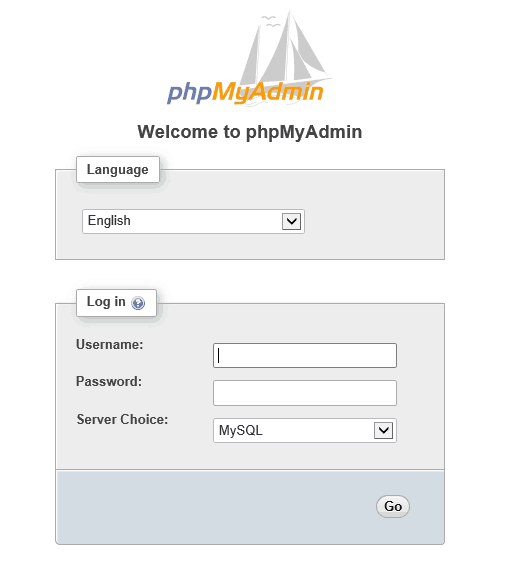 If you’re not 100% comfortable with databases, you can use PHPMyAdmin which is user-friendly and allows you to manage your databases hassle free. Further information on setting up your LAMP server can be found here. If you’ve purchased a domain name, e.g. www.mywebsite.com then you’ll want to link that to your hosting, as you normally would with a web hosting provider, to your domain name provider. Your domain’s DNS will have an A record pointing to an IP address – if you’re not sure how to access this, contact your domain name provider for further information (this is where you purchased your domain name from). Now you can go to your domain name, e.g. www.mywebsite.com and see your website live on the world wide web! Although it’s entirely possible, as we’ve seen, to host your own website without the use of a web hosting company, we wanted to cover the pros and cons of doing so. If you’re not convinced that the pros outweigh the cons, when hosting a website from your home, you may be surprised that there are alternatives that are just as good. The main reason why people would want to host their own website from home is to have full control of their server, understandably. But as we’ve seen, in the long-run this can become very costly, time consuming, and isn’t always reliable. 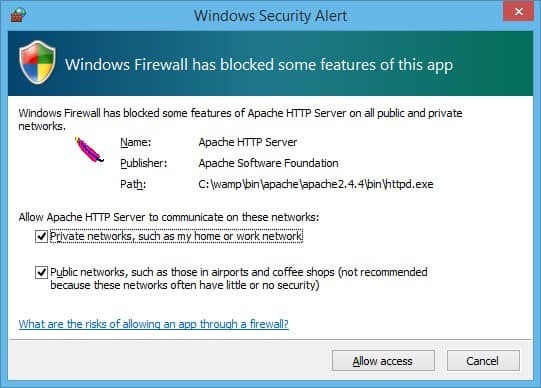 For beginners to web hosting, hosting your website from home is not recommended. Web hosts now offer many different hosting packages that aren’t just your normal shared hosting, so you can still pay an affordable amount without losing too much of the control you’re after. For example, you could look at cloud hosting for fast speeds and high reliability, or dedicated servers that give you full control, but are more on the pricey side. This guide provides in-depth step by step instructions on how to setup your own website hosting from home, using Windows or Linux – it’s possible, but not practical. As we said earlier, if you’re looking for a project, or simply want to learn more about the possibilities of website hosting from home, then it’s a great opportunity to sink your teeth into. However, the practicalities of doing so really don’t outweigh the cons in our opinion. Firstly, you’re going to require a little technical know-how in order to begin the process; there’s lots of technical jargon that probably won’t make sense unless you have some background knowledge. Secondly, if you’re looking to run a popular high-traffic generating website, or even a business website, hosting it from home is going to be expensive. Your website will need to be online constantly, which means that your home computer will need to be both capable (performance and hardware wise), and never receive any updates to prompt a restart. Windows updates can be a pain, however, they are there for a reason, for your own security. If you don’t update your operating system, you could be opening a big can of worms that could ultimately take your website and computer offline for good. When you can get web hosting from as little as £1.50 per month it seems (if you don’t mind us saying) silly to do it from home. Web hosting providers are there for a reason; to provide a service for you, so you don’t have to go through the hassle. Perhaps in the future there will be a better way of hosting your website from home, but for now we would recommend not to – though it’s pretty fun to give it a shot! Still, don’t have a clue as to how to host a website? Well, you can always pick one of our best performing hosting companies.